It’s been a while since I covered anything from my favourite application; Excel. Here’s a tip that some may find useful, especially in business. 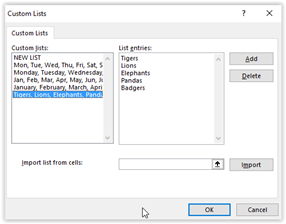 Many will be familiar with the Excel feature that lets you enter a month; example January, then click on the bottom right of the cell and drag this along the next 11 cells to auto populate the other months of the year, from January to December. What many won’t know is that you can create your own lists for doing this. In this example I will create a set of five animal names that represent a group of items. First open Excel and click on the File Tab then Options at the bottom. Next click on Advanced to the left. This is where you create your custom list. In this example I have classes at school called Tigers, Lions, Elephants, Pandas and Badgers. 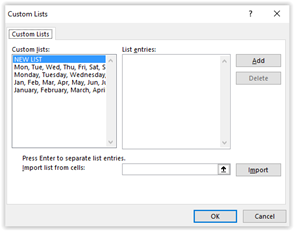 I can use Custom List to create these as a list that I can drag to auto populate. You should see your new list created at the bottom of the Custom Lists with values to the right. Using your new list is straight forward. Click in any Cell and type one of the names that you used in the list. Click on this plus sign, hold down the left mouse button and drag to the right to auto populate the other columns. You can use this horizontally for columns or vertically for rows. Probably the most common cause of data loss I see is the lack of data backup coupled with failure of the storage drive, either hard disk or SSD. I’ve covered backups a few times in the past, but it is also worth checking the health of your system disk proactively every now and then. 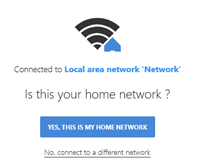 Windows does provide some basic test capabilities, but they are not very effective and not the easiest to use. 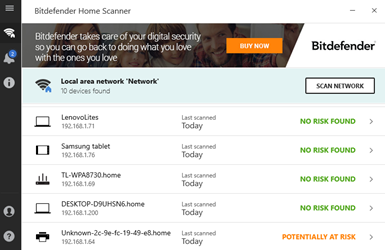 Fortunately, there are a few free and paid-for alternatives; one of the free ones that I can recommend is HDDScan. 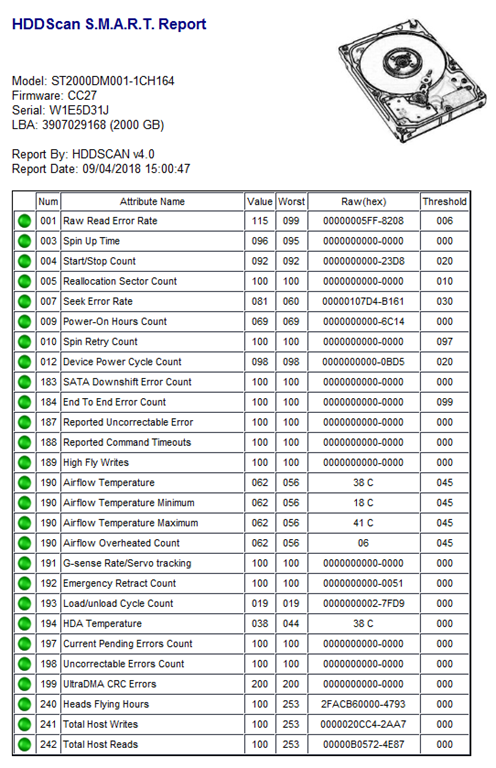 HDDScan is a freeware software for hard drive diagnostics (Flash USB and SSD drives are also supported). The program can test storage device for errors and can show the inbuilt S.M.A.R.T. disk health data where supported by the drive. Once downloaded it will be delivered as a ZIP file so you will have to extract it (right click on the file and click on Extract). Once it has been extracted double click the HDDSCan.exe file to run and install the tool. You can now run HDDSCan to test your drive. Click on the drop down arrow to select your disk drive (in the example I have a hard drive, and SSD and an SD card slot which is empty (no media). The quickest and most basic check is to query the SMART data that is held on the disk drive itself. You will now see a summary of the health data held on the disk for that drive. What you want to see here is all green buttons, no amber or red which may indicate degradation and potential failure. For more in depth testing you can use the TESTS button. CAUTION! : The ERASE option does what it states and will ERASE all the data on the drive. Do not use this unless this is what you intend. The final button is Tools which provides a handful of disk related tools. There are some tools included here that you should only use if you know what you are doing, so I’d keep out unless you are technically savvy. 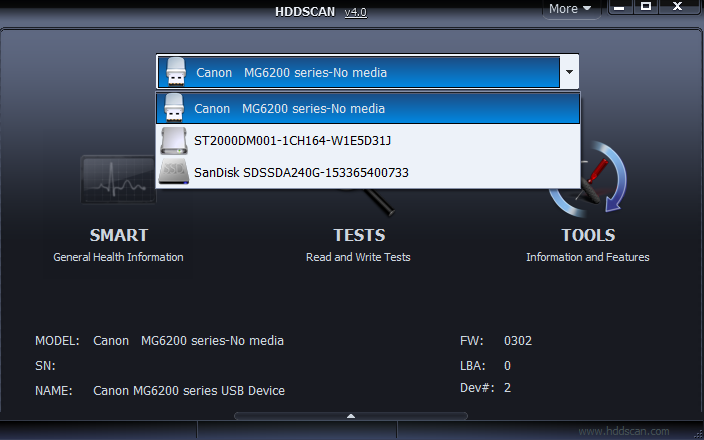 An additional benefit of HDDScan is that it will run standalone off a USB drive. This means that if you can’t boot to Windows desktop then you can still use the tool to test your disk drive. 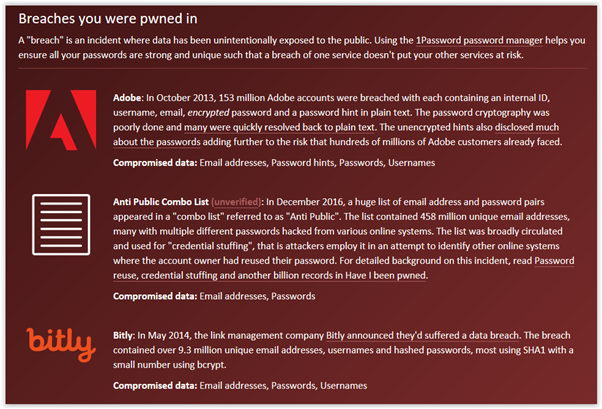 I don’t normally single out email scams but using this one to show how the quality of the scams have improved. 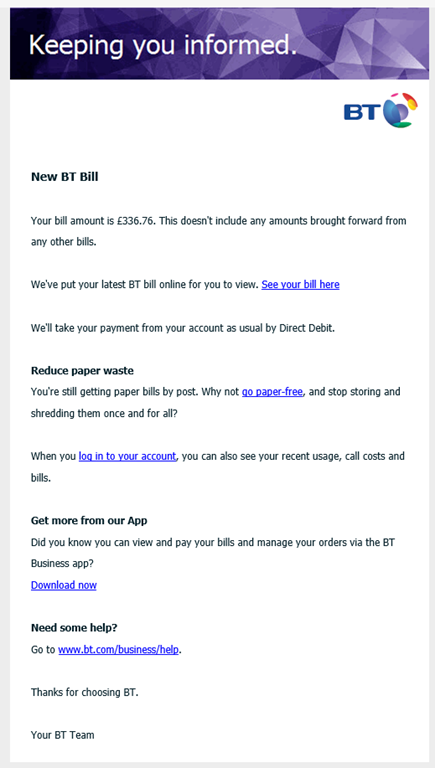 To all intents and purposes this looks like a regular billing email from BT, albeit with an inflated figure, designed to ‘alarm’ you into clicking on it. But let’s pause and have a closer look. Not what you’d expect. This link doesn’t take you to BT but to an unknown server in Slovakia (indicated by the .sk in the zbalsikufor.sk part of the address). What makes this one even more convincing is that the other links in the email will take you to BT pages. With many people now having multifunction printers at home scanning and copying has become available to many of us. As a result, questions on scanning are very common; in particular ‘Where have my scans gone?’. What’s the difference between a copying and scanning? Copying refers to the act of ‘photocopying’. In other words inserting/laying a document in your printer and making another paper copy of it at the printer. No PC involved.Scanning is to insert/lay a document or image in your printer and to use the in-built scanner to send a digital copy to your PC. No print out. Every multifunction printer manufacturer has their own version of scanning software, but they all use the same principles. To illustrate this I will refer to Microsoft’s Windows Fax and Scan as it is built into Windows and available to all. This is a basic tool with very little by way of features but the principles are the same for more complex scanning solutions. If you cannot find Fax and Scan on your system type the title into your search bar at the bottom left. Windows will search and identify the program as Windows Fax and Scan. Click on it to open the program. You can now insert the document that you wish to scan onto the scanner/printer glass bed. 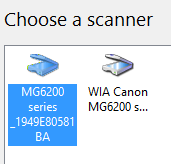 You will next be asked to choose a scanner. If you only have one then it will be automatically selected. 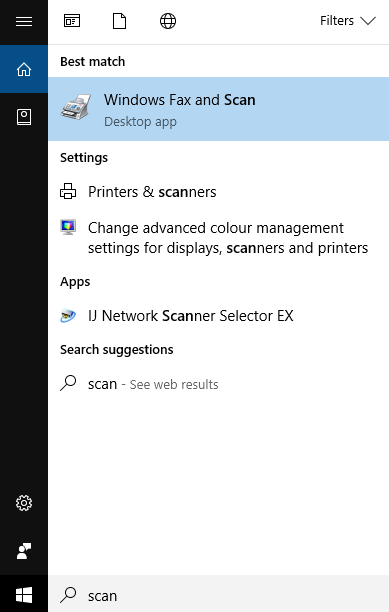 The scanning window will now open and you will be given a choice of ‘Preview’ or ‘Scan’. In most cases you can go straight to Scan but the preview option can be useful to see what your scanned image will look like. Before making that scan though it is important to change the settings to meet the required use of the document that you are scanning. Profile: Two choices here – are you trying to create a text document or just an image of a text document or photograph? In most of cases it will be Photo. File Type: For photos use JPG as they are compact but still offer good quality. 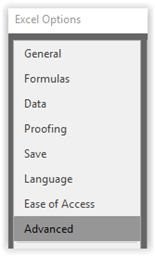 A good choice for documents is PDF but options vary by product. Resolution: Generally modern scanners support up to 1200dpi but 300dpi is the most common default resolution and will suit the needs of most. But where are my scanned images stored? In the case of Windows Fax and Scan the scanned images are stored in your Documents folder under a subfolder called Scanned Documents. If you do a lot of scanning and want a quick way of getting to this folder; find it in your Documents then Right Click on it and left click Send to… then click on Desktop. You will now have a shortcut to this folder on your desktop. Other scanning programs with more features than Windows Fax and Scan will allow you to set the destination folder in the settings for that application. It is important to check this as it can be frustrating trying to find a scanned image if you don’t know where the software has stored it. Most multifunction printers now support OCR; Optical Character Recognition. 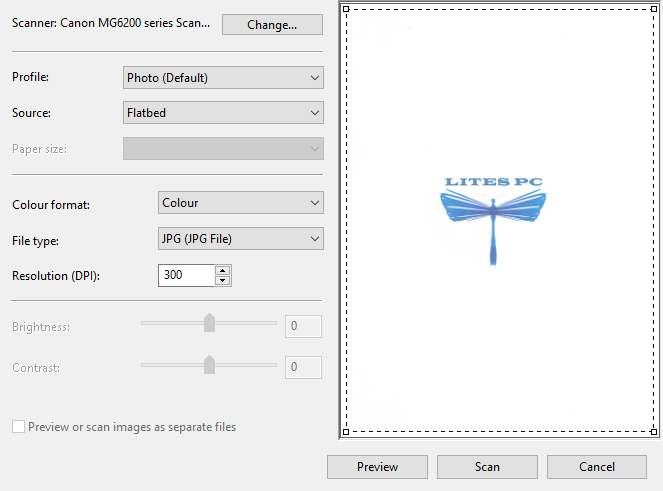 When creating a scan most are created as PDF or JPG files, document and image files that are viewable but not immediately editable. If you wish to create a document that you can edit, such as a text document in Word, then this process is called OCR. The scan is taken as normal but an extra step is added whereby the software processes the scanned image to identify any text on the page. It will then create a word processing document (such as a .docx for Word) that will allow you to edit the content.